Bitcoin and the entire cryptocurrency craze continues to work its way into more and more industries as a reliable means of transferring funds online. 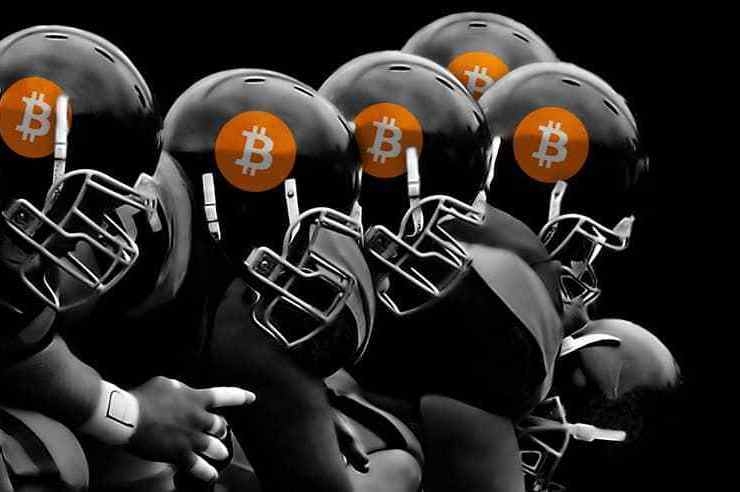 Some of the best online sportsbooks across the nation and around the globe have been strong advocates of Bitcoin as a means to fund and request payments from your online betting account. More recently, a few online betting venues began to expand that banking service to include other digital currencies such as Bitcoin Cash, Ethereum (ETH), DASH and Litecoin. This has made things even easier to find a cost-free means to conduct banking transactions with an online sportsbook. Unlike most bank services, Bitcoin can be used with no added fees or high transaction costs. Cryptos like Bitcoin make perfect sense for the online sports betting industry given the ease of use and anonymous nature of every transaction that takes place. Since cryptos are not tied to any governmental currencies or financial institution, the only paper trail is a transaction number tied to a person-to-person online exchange. There is also a very high level of security in place to keep these online financials transactions safe and secure. The best feature of using cryptos such as Bitcoin to manage your online betting account is the absence of fees for both deposits and withdrawals. More and more progressive online sportsbooks have fully embraced the benefits of cryptocurrency for all parties involved. Some books have a generous bonus offer in place for first time users. One example would be a 100 percent bonus offer on your initial deposit using Bitcoin, Bitcoin Cash, ETH, DASH or Litecoin up to $1,000. This offer comes with a 14x rollover requirement. The same book also offers a 35 percent reload bonus on an additional deposit up to $1,000 with a 6x rollover in place. For any avid sports bettor who is serious about extending their overall betting bankroll, this offer is almost too good to be true. You should always consult your online sportsbook of choice for all the rules, regulations and terms surrounding any bonus offer. This is just another example of why it pays to shop around when it comes to finding the best online sportsbook for your particular sports betting needs. More and more online sportsbooks continue to raise the bar when it comes to the overall level of customer service they can provide. The expansion into cryptos is just one of many innovations that have allowed online books to remain the market leaders in a rapidly expanding and changing sports betting industry. Another big reason why online sportsbooks can maintain their status as industry pioneers while also establishing themselves as true innovators is experience. Some of the biggest online books in the sports betting industry have been around since Day 1 when placing bets through the internet was just getting off the ground. More and more books joined the party over the past decade or so and today the online sportsbook industry is a thriving multi-billion-dollar enterprise that knows how to do things first and do them best. Spring is the best time of the year to open an online sports betting account with Bitcoin or any other digital currency that suits your needs.